2. Another group of magpies fly overhead and our birds drop everything including food, fly over to the top of the trees, protesting at top volume. Soon after they give chase to the new birds, making sure that the visitors do not sit on any of their trees. Members of our gang spread themselves around their boundary trees calling out loudly. The neighbouring clans of magpies also collect around their trees bordering the area and join in the protest song. The newcomers try to sit here and ther and get chased out with much sing-song. Eventually the new birds leave. What was all the ruckus about? Why did they behave differently with the two sets of visitors? What are they trying to tell the other birds? The first set were just a group that were traveling over their territory. Our birds just sang out to them to say hello and goodbye in a short verse. The second group of birds were looking for a place to settle in our valley. Our birds were telling them that the place was already occupied, there was no free area for another family to live. By flying from tree to tree they were showing their boundary to the prospectors. The neighbouring clans were also showing that their boundaries butted against each other and there was no available zone between the existing clans that could be given to another family. When the newcomers would sit on a tree as if to ask 'What about this tree?' the owner of the tree would fly over singing his/her signature song, showing them whom it belonged to. The new birds eventually accepted the fact that all the trees were indeed taken, got the idea and left. 3. 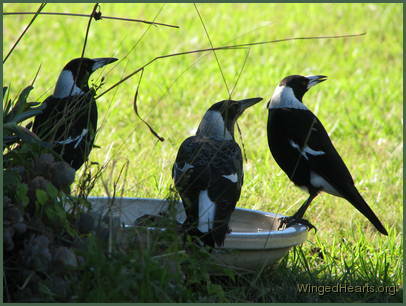 A group of magpies turn up, they hang around the border areas for a few days. This time our birds are not chasing them. The neighbours also not protesting. The newcomers do not join our birds in feasting at our place either. 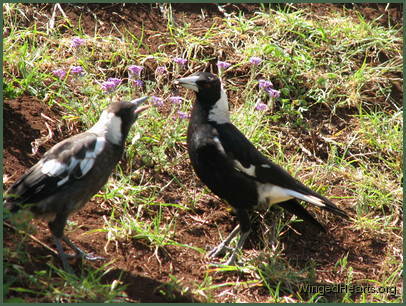 But they are allowed to find their own food in our magpies' territory, which is very unusual. There are no squabbles, but there is much sing-song, chortling and chatter. Much flying about and playing around too. A few days later, they all call us out, then in our plain sight the new comers fly off with one significant change. They fly high in the sky so we can clearly see their silhouettes. We notice one of our juvis fly out, call out to us before joining them and they all leave together. Yes our darling Georgie (Right pic: in the middle) , found a group she wanted to adventure with and left with them. The group had been traveling, was perhaps a relative or friend of the parents (they do know which clans they come from - they use signature tunes to identify their families). They were made welcome as guests for a few days while the kids got to know each other and play around. Then our one year old Georgie wanted to go with her new friends to discover the world. They wanted us to see where she was going, so we would not worry that she had been injured or lost. So they all called us out, showed us the new family. When they were certain that we watching Georgie came out, said goodbye and joined them as they flew off turning into specks. From a distance, if one didn't know the birds, we would never have known what was really happening. 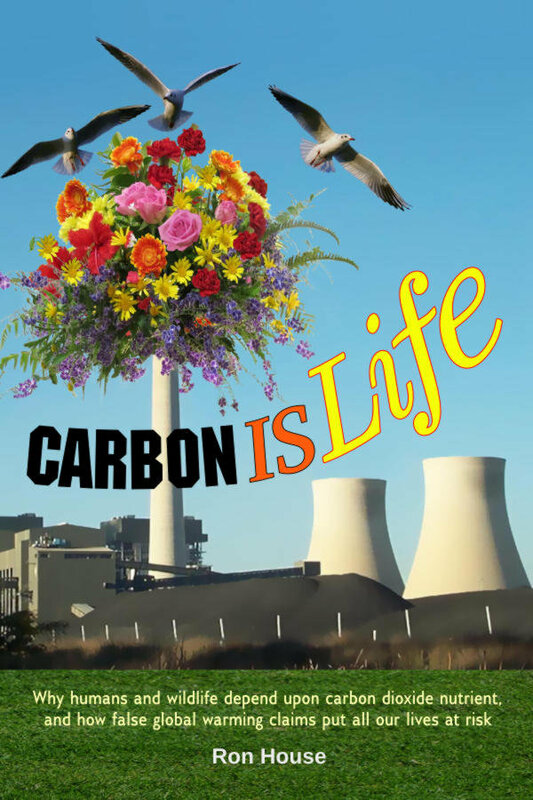 As in all the cases they all just looked like a bunch of magpies fussing about. Knowing the birds makes a big difference, because we can also understand what they are doing, and what they are trying to tell us. If they hadn't shown us that Georgie was leaving, we would have been sick with worry about her. We would have spent days searching through the bush and paddocks to find her. But they didn't want to cause us that concern. We care for them and they always show their care for us. This is just one of many, many true stories that we have been so privileged to discover and experience over the last ten years.